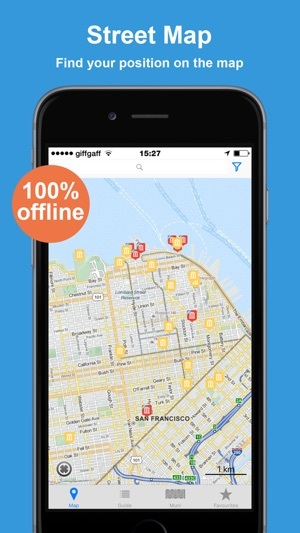 San Francisco for Less is the only offline city travel guide that actually saves you money. You could save up to $60 per day*. 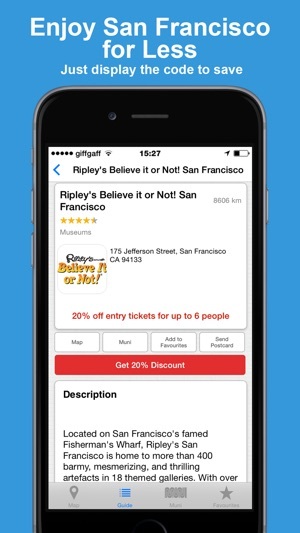 Access San Fran’s street and underground map with GPS positioning, discounts and coupons to SF’s top attractions and tours. San Francisco for Less travel guide works entirely offline, so there's no exorbitant data roaming charges. Available in English, French, German, Italian and Spanish! 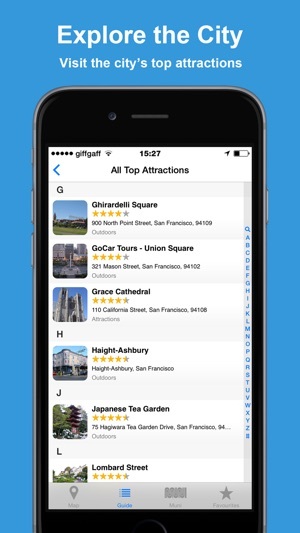 • Street Map: Search places, museums, and attractions nearest to you or anywhere in San Francisco with GPS. 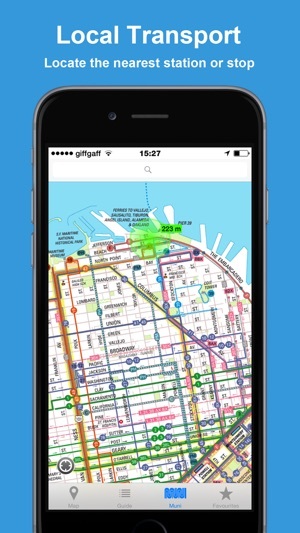 • San Francisco MUNI Map: Complete, offline official Transport for San Francisco Muni map. Search and find any stop. • The Guide: Compact guide with information on the most popular San Francisco attractions, such as the Golden Gate Bridge, Yerba Buena Gardens, Alcatraz Island, Lombard Street and many other points of interest. • Attractions: De Young Museum, Legion of Honor, Aquarium of the Bay, Asian Art Museum, Ripley’s Believe it or Not! and many more. 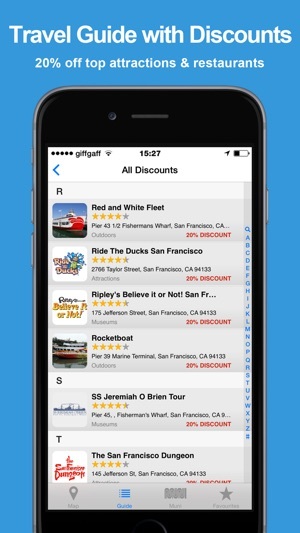 • Tours: City Sightseeing, Red and White Fleet, GoCar Tours, and more. Loved it... Would have paid for it...Thank you!